Contents will include an introduction, prices and forms, premades, contest entries, and commissioned graphics. If you want another sample of our work, see our covers. They are all our own work, and all but the last two in our list have been updated recently. Copyright Questions: All of our graphics are made using common domain images, so you don't have to worry about any copyright issues. However, any piece that is not designed for you is copyrighted, so please do not download other people's commissions. We retain all rights to the art. Thank you for considering us, and have a marvelous day! Chat forums, advertising slots, premades, contests, and more. If you're looking for exposure on Wattpad, need to network, or just want to have a good time, this is the community for you. Our aim is to support writers and designers and bring together a group of friends. Joining is impossibly easy, and sticking around is low-maintenance. We've always tried to run this profile more like a community than an island. Here, we hope to make that goal a reality. So, what do you say? Are you ready to rule the world? 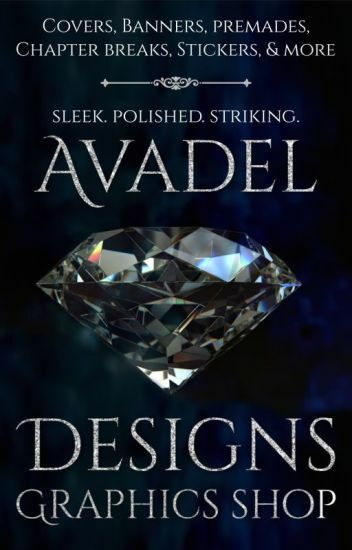 Need a cover for your latest book? Browse through our premades, where each Guild member has created beautiful covers that can be easily customized to fit your own novel! Each member creates new premades every month, meaning you can always check back and see the new content we create! Our shop is currently CLOSED. Please do not request. These were made by my friend Magic Fox or, Modern Fox has he recently likes to call himself. Face Claims, Simples, Minimal Graphics, Dark Fantasy Manips, Pinterest Inspired Manips/Simples. Two subterranean scientists face a world of betrayal and magic. A loyal prince runs away from the country he loves. When their paths twist together, they must twine their talents to survive. Leavi Riveirre, a sixteen-year-old scientist in the underground city Karsix, knows that wizards, princes, kingdoms, and epic battles are only found in storybooks. Her reality is the relentless plague unleashing death and darkness in the city. Determined to survive, she leaves everything she's ever known and discovers a world she never knew existed. Sean Rahkifellar dedicates his life to alkemi, studying how the cogs of the universe click together. His plans are destroyed, though, when the plague breaks out, tearing him away from his life's work and throwing him headlong into the unknown. Aster Jacques, half a continent away, is the next commander of all magicians in his kingdom, but spells his future subordinates long since mastered hover just outside his reach. Desperate to be the caster his country needs, he's willing to do whatever it takes - even abandon the kingdom. As the three struggle to comprehend each other's worlds, they must work together if they want to overcome the deadly twists thrust their way. This book is currently published on Amazon! To buy the official ebook, search "Of Caverns and Casters" on Amazon! Much thanks to @lionobsession, @katianaelyse, @DeltaTangoEthan, and @IWJKeller for editing. A simple graphics shop where an amateur designer hones her craft. I finally opened a cover shop! Winner of Fantasci's Lord of Graphics 2018 Comp!